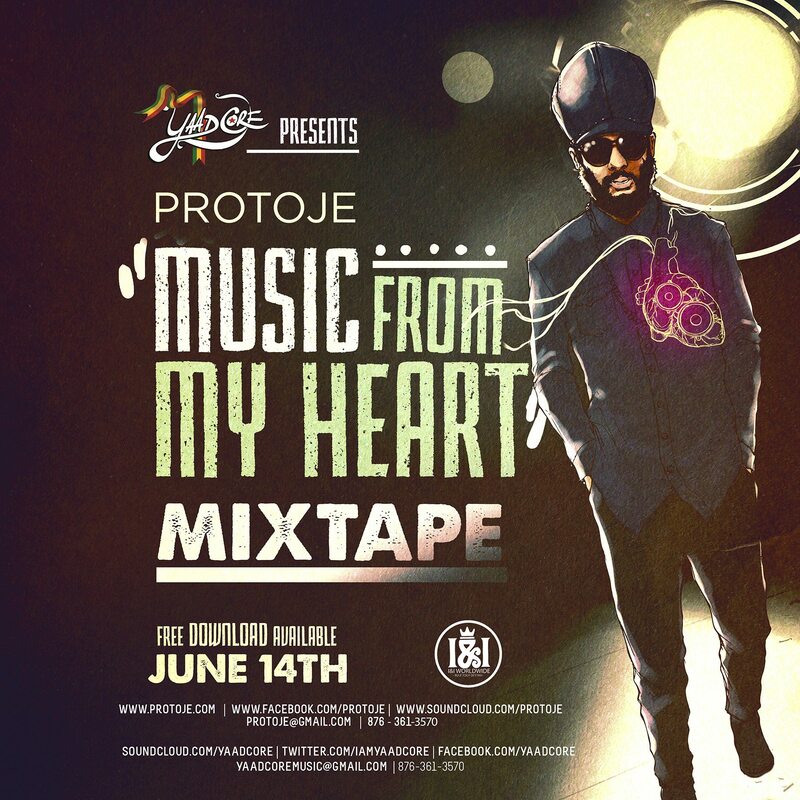 Reggae revivalist Protoje releases his “new” mixtape today. The Music From My Heart Mixtape is a blend of Protoje’s chunes from his latest album The 8 Year Affair as well as a few other singles previously released. The mix is laced with overdubs and shout outs from Protoje and features fellow reggae artistes Jah9, Kabaka Pyramid, Chronixx, Romain Virgo and others. Listeners are also treated to a brand new track on the Militancy Riddim to close out the tape. This project was mixed by I&I Worldwide selector Yaadcore and is available for (free) download on SoundCloud. Click the link and listen below.